For those who haven’t seen Steven Spielberg’s thrilling masterpiece the story begins when a young girl goes for a late night swim and is attacked by a shark. 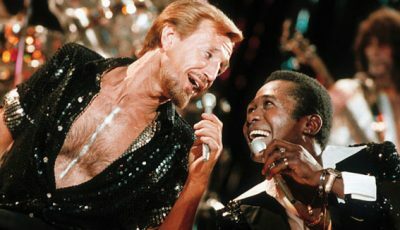 The town’s council leaders ignore the pleas of their Chief of Police (the brilliant Roy Scheider as Brody) to close the beaches. This inevitably leads to further deaths. Eventually succumbing to the request of the island’s best fisherman and professional shark hunter Quint (Robert Shaw) for a hefty sum of money in order to catch the deadly fish, the Mayor agrees to pay up. 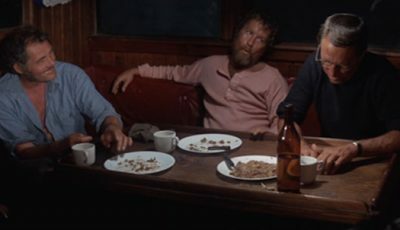 Accompanied by marine biologist Hooper (Richard Dreyfuss) and police chief Brody, the three set out on Quint’s aging boat the Orca in order to kill the beast. 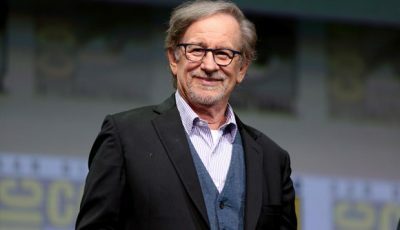 The film laid the groundwork for the modern day blockbuster and forever secured Spielberg’s place as a Hollywood legend. 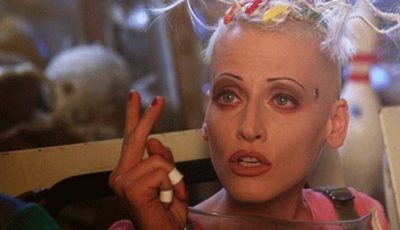 Made for the now seemingly tiny sum of $9 million (which was way over the film’s originally intended budget), its worldwide grosses topped $450 million. Of course, it is little surprise the film wowed audiences. A relatively simple premise offered the perfect framework to hang a number of choreographed scares upon while its implied horror (its violence kept largely off-screen) meant it could appeal to audiences young and old. To this day it is still the quintessential high concept thriller – leanly plotted, paced like an out of control freight train careering down Ben Nevis, and owner of the greatest jump-out-of-your-seat moment ever seen. 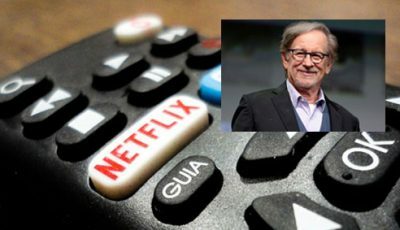 Spielberg sensed his costly mechanical shark could make a mockery of the film given its constant malfunctions. Owing to delays caused by other factors and a budget spiralling out of control, Spielberg decided that the less the audience sees of the shark the better. It turned out to be the best decision he ever made. Yet, most interestingly, its success as a thrilling exhibition of terror may have more to do with a misfiring prop. 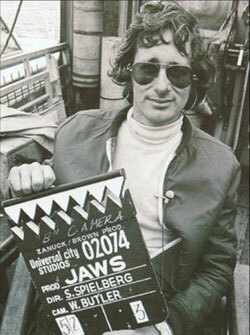 Spielberg sensed his costly mechanical shark could make a mockery of the film given its constant malfunctions. For starters, the non-absorbent neoprene foam that encased the model would absorb liquid causing the various robotic sharks to turn into Michelin men. 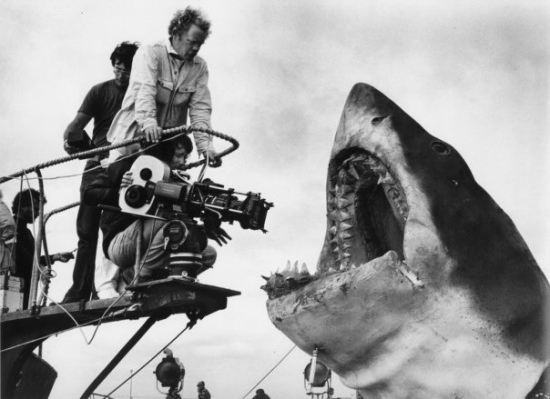 Owing to delays caused by other factors and a budget spiralling out of control, Spielberg decided that the less the audience sees of Jaws the better. It turned out to be the best decision he ever made. This “less is more” idea is one of the film’s greatest attributes. It is also the reason it is so effective. In The Exorcist, William Friedkin frequently chose to shoot Ellen Burstyn’s reaction to the horror she was seeing from her child prior to showing the horror itself. 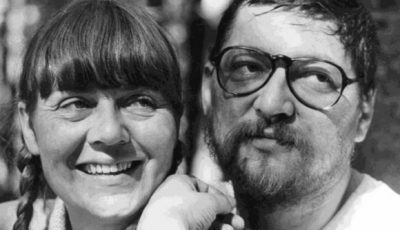 It is a prudent policy, especially in films dealing with the supernatural, because it familiarises the audience with a fear we recognise (the facial expression – from happiness to fear and everything in between – is one of the first things babies interpret and understand, and one of the primal communication methods between human beings). Suffering, terror, pain and anguish is therefore familiar and authentic before we, as an cinema audience, have to suspend our disbelief in something paranormal. 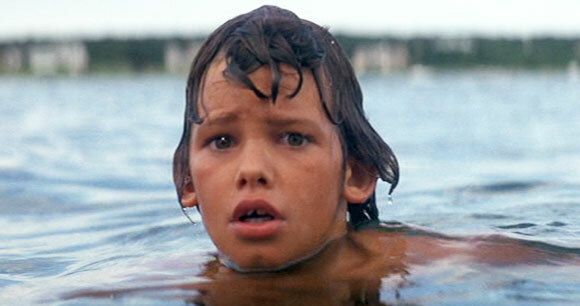 Similarly, in Jaws, Spielberg hides the shark beneath the water so the monster remains largely unseen. We are therefore shown the reactions of others to build our own interpretation of what lies in wait. In addition to this, Spielberg uses visual motifs to represent the shark’s existence and predatory prowess while hiding its actual form. This not only allows Spielberg to sidestep his problem with a malfunctioning prop but play on the audience’s perception of the monster. It builds the tension while we await the full reveal, akin to a magician hiding the rabbit. 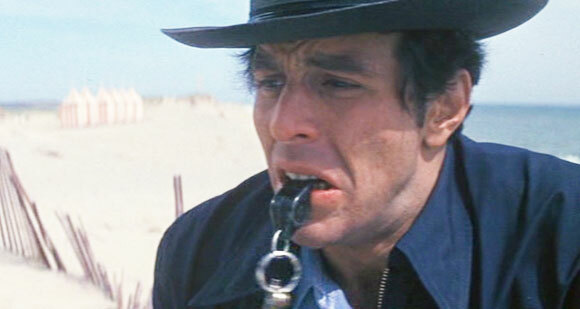 This “less is more” idea is one of the film’s greatest attributes. It is also the reason it is so effective. In The Exorcist, William Friedkin frequently chose to shoot Ellen Burstyn’s reaction to the horror she was seeing from her child prior to showing the horror itself. 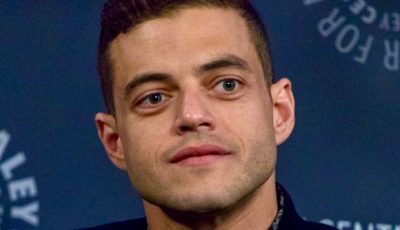 It is a prudent policy, especially in films dealing with the supernatural, because it familiarises the audience with a fear we recognise. Suffering, terror, pain and anguish is therefore familiar and authentic before we, as an cinema audience, have to suspend our disbelief in something paranormal. 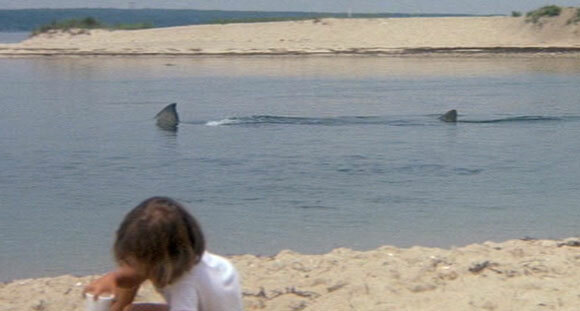 It is the visual representation of the shark – or monster – that is one of the most interesting aspects of Jaws. Even when we have seen the shark, the big fish remains mainly out of sight. Most of the time we only see the yellow barrels, harpooned into its body in order to draw it to the surface, dragging in its wake. Elsewhere the shark’s current presence is represented as a piece of broken wooden pier or the mere appearance of its dorsal fin. 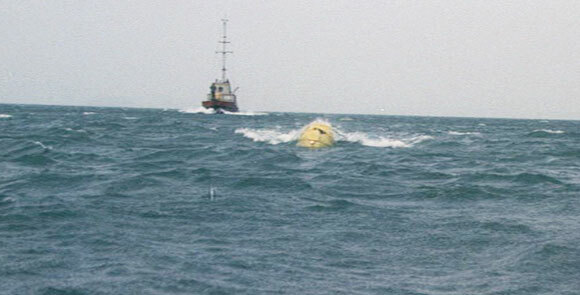 Even more devastating is Spielberg’s depiction of the shark in the aftermath of its attacks – from Deputy Hendricks finding the severed arm of Chrissie Watkins to the late night trip to find local fisherman Ben Gardner’s damaged boat floating aimlessly in the water and the revelation of both a huge, fang-like tooth and the dead body of the fisherman himself. The culmination of these visual clues heightens tension as we hurtle towards the film’s sensational climax. 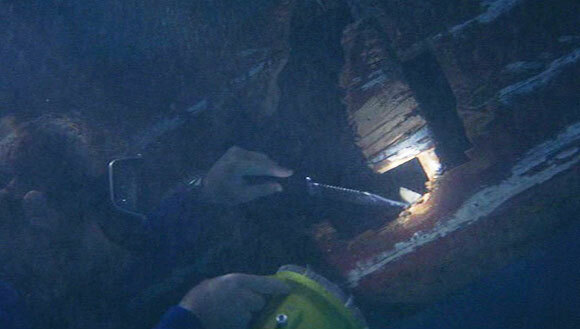 Watch out for Hooper’s anguished retort when Brody accidentally pulls the wrong cord allowing the diver’s oxygen cylinders to hit the boat’s metallic deck. “You screw around with these tanks and they’re going to blow up!” It’s a good job Brody has a good memory, and is handy with a rifle! 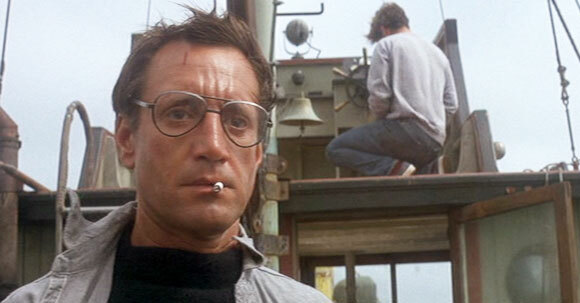 This article is an update on a previous piece I wrote following my first ever viewing of Jaws on the big screen. Aside from the Spielberg touch, another reason for the film’s huge success was fact the Peter Benchley book on which it is based was a runaway best seller (it was a similar story with The Godfather three years before). Funny thing is Jaws kind of bucked the trend -the film is way better than the book (especially the ending when, in the novel, the shark dies of exhaustion instead of being blown to bits). I have the very same feelings about the book. I knew about the success of it but didn’t read it until about ten years ago when I was bitterly disappointed, especially in regards the ending. 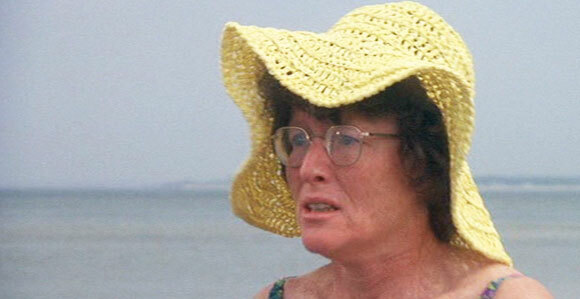 Jaws is a perfect example of the film being far better than the book. Damn insightful as always Dan. Brilliant article. ‘Jaws’ has its plethora of well timed and superbly executed “Seat Jumping” frights and scares. Which offer hackle raising camouflage for an uncooperative monster, or ‘McGuffin’. Kudos to Mr. Spielberg for pulling those frights off so well. And for your laying them out and dissecting them so well! Spielberg’s so good here I didn’t even notice how much he relies on the reaction of people’s faces. A great read. I think I’ll appreciate the film a whole lot more now. Dan, you know how I feel about JAWS so for me to comment on this is kind of a moot point, but, as always, you write such a terrific article and you nailed a lot of why Spielberg is good here. Thanks for writing this, on the 40th anniversary of the greatest film of all time, imo.